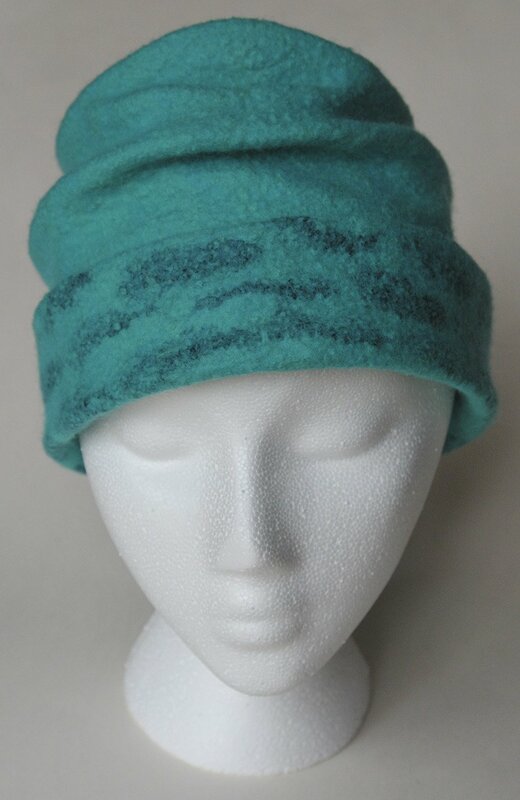 Design a stylish wool hat ideal for the colder days ahead. Choose any look, from whimsical high crown with lots of scrunch to a classic cloche. No knitting required, create your hat using colorful wool roving and traditional wet felting techniques. A variety of surface embellishments add to the fun! Previous wet felting experience/laying out fibers helpful. Some physical stamina needed for felting classes. Embellishments, if desired: silk threads, Noro Rainbow Roll, silk hankies, etc.